Rags to riches – How shortcuts work! Even if a man has merit, the pressures of earning a livelihood overshadow such merit. The need to look after the family wears out one’s brilliance. A poor man’s house is like a sky without stars, a lake without water. Meanwhile, a barber came to the merchant’s house because his wife had called him for pedicure. Very soon came the Jain monk who appeared in the merchant’s dream. Manibhadra was happy to see him and at once reached for the stick and struck him on his head. 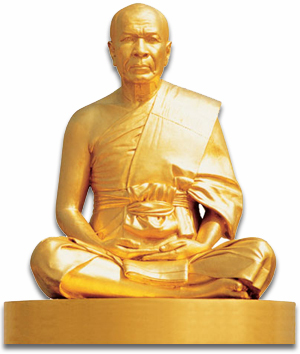 The monk turned into a statue of gold. The merchant then gave clothes and money to the barber and told him not to pass this information to anyone. After this prayer, the barber met the chief monk and knelt before him seeking his blessings. The monk blessed him and asked the barber the reason that brought him to the monastery. The barber pleaded humbly that the chief monk and others should accept his hospitality. When the poor monks trooped into his house, the barber closed all the exits and began assaulting them. Some of them died while some were crying with pain. The sheriff, passing by, heard this commotion and asked his men to immediately find out what was happening. The men saw what the barber had done and presented him before a magistrate. The barber admitted that he had killed some of the monks. The magistrate ordered that the barber be impaled. The judges then said that no one should do like the barber without understanding the situation for the learned have said that he who does things without discretion or prudence regrets his actions. Food for thought : I find this story so interesting because it says, what worked for him might not work for you! Choice indeed is the greatest gift we get as humans, to choose wisely – be it action or inactions is not a suggestion. It is responsibility. Source: Unknown. While I have not written this story, I am unable to trace its source too. Please help if you can.